Totalcar Magazine - Used Cars - What, a French one?! Why not? What, a French one?! Why not? To hell with prejudice! If you're fed up with the dull Germans, try this. You won't be disappointed. I've just watched one of my favourite car chase scenes for the 999th time: the one in Ronin where de Niro tortures his Peugeot to follow an M5 on the crowded streets of Paris. However, the huge gap between the two cars' performances spoiled the tremendous action shots a little bit. It's just not realistic that the BMW which has twice the power can't get away. 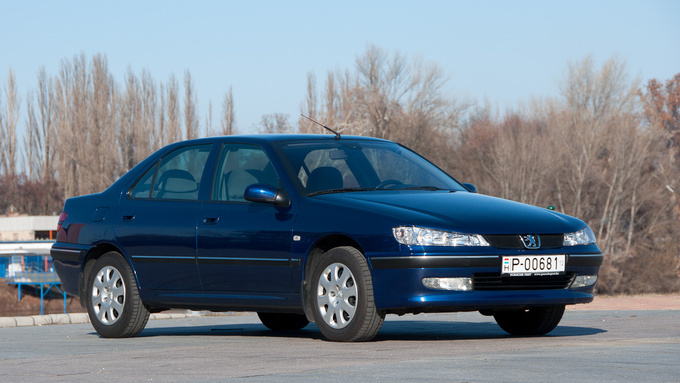 Nevertheless, the 406 is quite a good car. Everyone who has tried one of those M5s knows how clumsy the E34 behaves in the city – the true character of this monster can only be experienced at motorway speeds. And in the heavy traffic of Paris power is not that important, nor are the cornering capabilities. Yes, I know, most of BMWs in the film were not real M5s, but let's skip the discussion about which engine was under the bonnet. The badges say it's an M and that's enough for me to accept that they want us to believe that. Funnily enough, no-one ever argues about what engine was in the 406. In this metallic blue limousine for example, a 1.8 litre 16-valve engine does its duty. 116 horses, an inviting Riviera package and the model year 2003 make it an interesting late 406. It has all the usual extras, the automatic A/C is the only one worth mentioning. Is 4000 euros too much for it? With only 96 thousand kilometres on the clock the price might just be right, although you can find many similar ones for a grand less. However, this one is in mint condition. I was really curious about the 406. It has quite a good reputation, although it doesn't attract much attention apart from the youngster fans of the Taxi films. It's not a flashy spectacle, nor a dreaded dark knight – well, a car of no extremes. But we know how different the dull everyday rides can be, just think about your own previous cars. I must admit, even before testing it I thought of the 406 as a well-hidden treasure. A contestant that won't beat a Vectra or a Mondeo in the fight of inches and newtonmetres, but if you try it, you instantly detect with your sixth sense that it's far more superior to them. Many times I've tried the 406 as a passenger, and the elusive gracefulness, which makes this car just a little bit different from the plebeian family sedans, grabbed me every time. 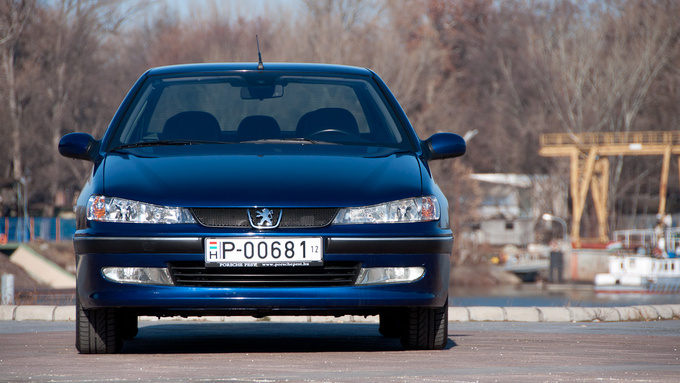 Just name one car which was designed around the millennium and looks as fresh as the 406. 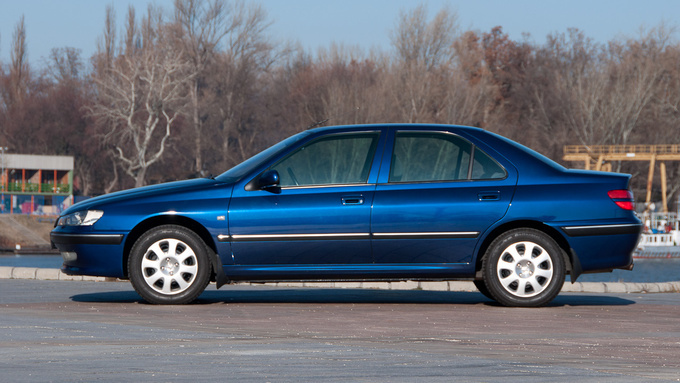 The Vectra B resembling a blue whale? The Batman-faced Mondeo? Don't make me laugh. Maybe the slightly younger E46 BMW 3-series and the 5er from Ronin doesn't make me yawn, but the 406 is no competitor of those. It doesn't want to be a luxury car, just a reasonable choice, a fortunate model that slipped out of the hands of the French. You have to agree that the design is a masterpiece. 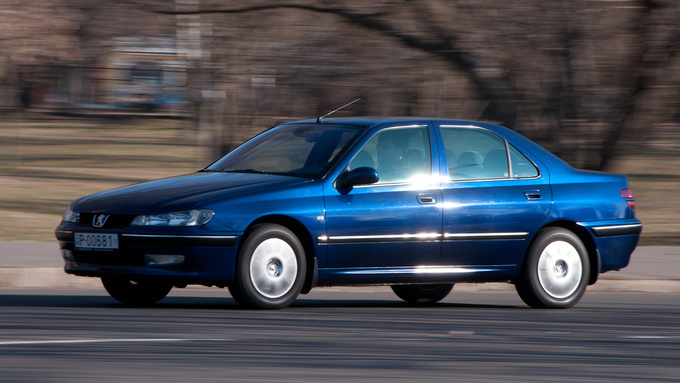 Not many cars could keep up their dignity after their mid-cycle facelift, but the 406 is an exception. The designers didn't disturb the elegant lines, but the new features – the shiny headlamps and the bad boy bonnet – were refreshing in '99. After all, it's hard to find where the magic is hidden, apart from the proportions. In fact, you don't need much more. A sleek body with some nicely finished edges, and no tossy details. That's all that necessary to make you feel good when approaching the Peugeot at the car park. 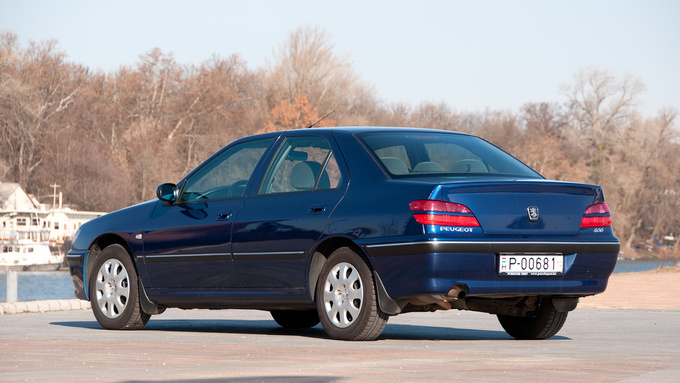 The pearl-effect deep blue paint looks good as well, emphasizing its slightly broadening hip. No need for alloys or big wheels, she's looking all right with the factory hubcaps. After enjoying the elegant looks from a distance, sneaking into the interior lets you down a bit. 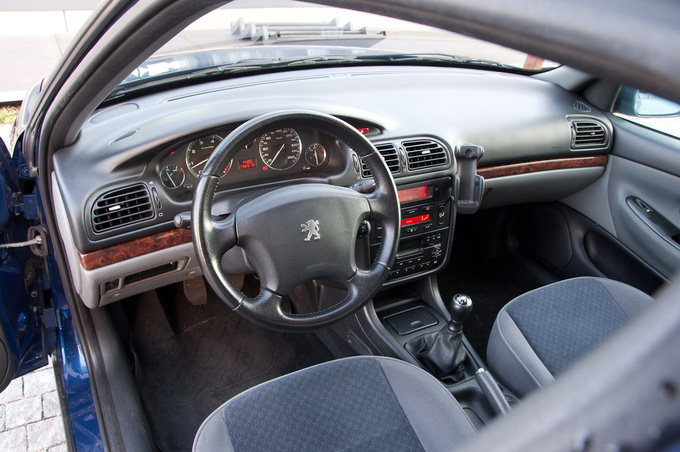 The unimaginative centre console, the boring, rounded lines and the puffy steering wheel with the airbag – all of this is not really inviting, and we haven't even mentioned the wooden inserts looking like cheap plastic. But you'll forget all the woes once your bottom touches the heavenly plush seats. This is where the Pug plays its best card. The priests of the old-school, squashy arm-chairs of France managed to preserve their science as long as into the 90's and composed a medium-stiff seat which still has the feeling of a homey hug - just like the canopy of a well-situated Parisian brothel. Suddenly we're in the mood for caressing, as we touch the smooth plush door-panels, and this atmosphere is just perfect. Who said leather seats are the best? Looking around, we discover the small but useful details of the typical 90's interior. The radio can be controlled with a lever behind the steering wheel; the display is not the most beautiful I've ever seen but at least it's placed on top of the panel. And among the instruments, there is a surprise: in the age of cars without a single temperature gauge, an oil thermometer is a truly admirable thing. 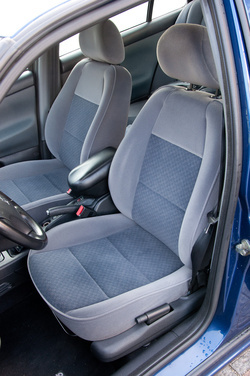 To achieve perfect comfort, just a tiny little factory extra is missing: the front armrest. 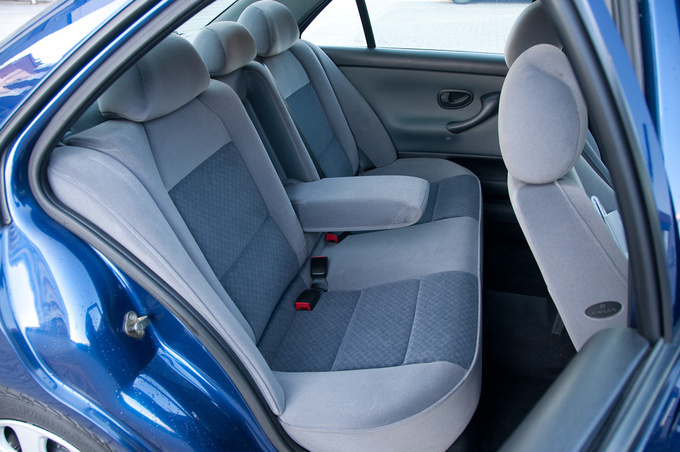 That obvious shortcoming was rectified by an aftermarket item of mediocre beauty in our blue test car – as shabby as it looks, the plus in comfort is worth it. It's a mystery anyway, why they couldn't put an armrest on the driver's seat while they have a huge one at the back. Likewise, it's hard to find the reasons for leaving out the rear electric windows in an otherwise well-equipped car. But those are really minor things in an eight year old used car for about 3000 Euros. So far, so good! The only remaining question is if we can trust the ageing French car's mechanical parts. Turn the key and a silky petrol engine starts somewhere in the distance. You get the impression as if you don't have too much to do with it and sadly enough the accelerator only reassures you of this. It reacts to your commands in a bone-idle way, like pulling an elastic band - not as bad as a contemporary Ford, but not too lively, either. 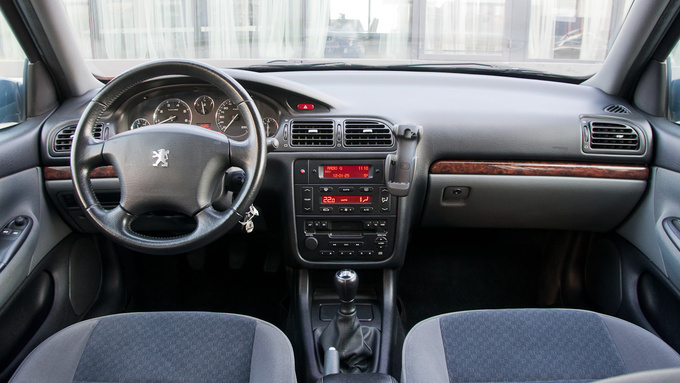 In exchange, only a minimum of mechanical noises reaches the cabin, and even if you are leaning over the bumper, examining the four-cylinder with about a hundred thousand kilometres on the clock, you won't hear any abnormal sounds. There's no need to say more than that the 116 horses are enough for this crate. It won't lure you into speeding, but it'll accelerate easily without too many gear changes. All the better, since you have to row the gearstick over long distances. Not that it is not precise and it doesn't get stuck either, but you have to crank your elbows if you want to avoid a sprained wrist. Another comfort misdemeanour is that the two-way adjustable steering column can't be pulled out far enough to relax while driving, but criticism ends here. Beware: the following is a glorifying hymn. The 406 is gliding with such a feline grace, as if we weren't driving on Budapest asphalt but floating in purified helium. It's obvious that its relatively low weight – about 1350 kilograms for an average petrol sedan – is a big advantage, but it feels even lighter. The balance of steering and ride is spot-on, even after driving a brand new car you'll be amazed. It's just firm enough to inspire you when changing lanes, but it ignores brutal potholes and cobbles. Every domestic car should behave like that, if you don't want to break world records with it. Who would have thought that the platform of the Xantia is so good, even without the hydropneumatic suspension? You'll feel at home in it instantly and you won't scratch your head to find a good comparison for the frigidity of the steering wheel or the uncomfortable vibrations of the suspension – there are none. The 406 knows a different way of bringing you round than a BMW or a Merc, it has a very unique feel. It'll cosset you with its smooth, sophisticated harmony in a way that you don't have to dread each and every corner. Maybe the secret is its human size. It measures just 4.5 metres, while floating with the mightiness of limousines, but without their clumsiness. Inside, there's just enough space for everything. Upfront, naturally you can't complain, but the upper-class comfort in the backseat is really surprising. With a lad of my size (1.84 metres) on the driver's seat, you can almost cross your legs behind, furthermore, there is the king size armrest and the rear windows which can be lowered to disappear into the doors. 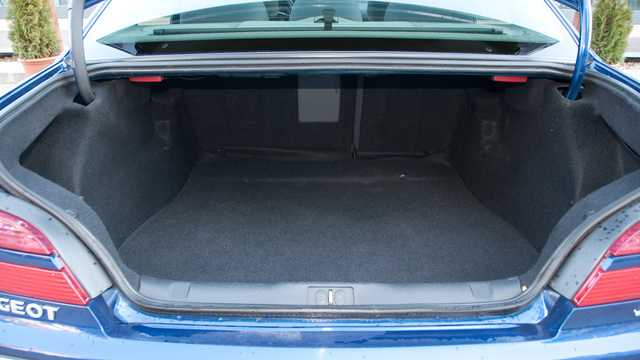 A split-folding rear seatback is not very common in sedans, but this way the quite spacious 430 litre boot can be enlarged to tuck away very long items. 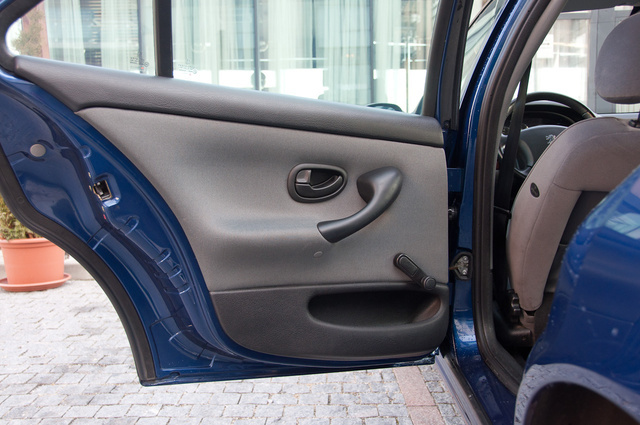 The small latch that allows you to release the seatback while standing behind the car is also handy. You don't have to heave your shopping bags over a high shoulder either – what more can I say? If that's not enough, you are seeking luxury actually. Frankly, after the short test drive I had a strong desire to own a 406. Not exactly this blue one with the 1.8 petrol engine, because although it had a bold price-tag, the clutch was slightly juddery and also the exhaust made strange noises under hard acceleration, which projects a beefy service bill in the near future. On the other hand, it appears to have done as many kilometres as the odometer shows, but apparently in city traffic, as the early clutch problem reveals. Otherwise, the interior is in good shape, the body is rust-free and there are no signs of bigger accidents, so it shouldn't be a surprise package. I don't think electric windows are a must, but if you have them upfront, why not at the back? But for the same price you can even get estates with diesel engines - and not only shabby ones. The older, indirect-injection turbo-diesels are not bad at all, while the newer HDIs are true masters of economy: in 2002 a world record was set in Australia with a 406 for the longest distance driven on one tank of fuel. The diesel engines really suit the character of this car, the bad news is only that it's difficult to find one with less than 300 thousand kilometres on the clock. I'm not shy in recommending the 406 to anyone who seeks a car of this size. It's not more expensive than all those Mondeos and Vectras, and it's a bargain compared to the Passat. Frankly, it's lost all of its prestige by now, but it still looks quite good, I'd say. When talking about reliability, most of the owners only complain about minor faults, otherwise they're happy with their Pug. You only have to listen to the eternal wisdom: never choose the cheapest. But don't dread the 406, it's one of the best French cars. 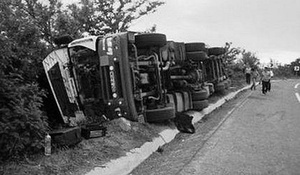 The mucky affair of the Romanian lorry driver almost had a tragic ending. All he was after was a bit of oral fun, but his behaviour cost him his truck and his reputation.